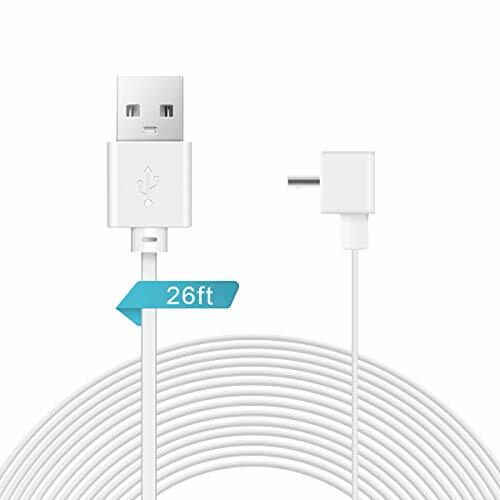 Extra 26 ft Long Design,long enough for you to keep the camera at home or outside,even if it is far away from the plug. Customized 26ft/8m USB Extension Power Cable,special for Amazon Cloud Cam camera. Flat and thick cable design makes it running through windows and small gaps easily. 10000+ bend lifespan,makes Micro USB Power Cable for Amazon Cloud Cam more durable and tangle-free. LANMU provides lifetime warranty and friendly after-sale service,makes sure the Risk-free shopping for you. If you have any questions about this product by LANMU, contact us by completing and submitting the form below. If you are looking for a specif part number, please include it with your message.